Item 2013.6.36.1.002.049 - Corner building facing Stanley Park in Vancouver, B.C. Corner building facing Stanley Park in Vancouver, B.C. 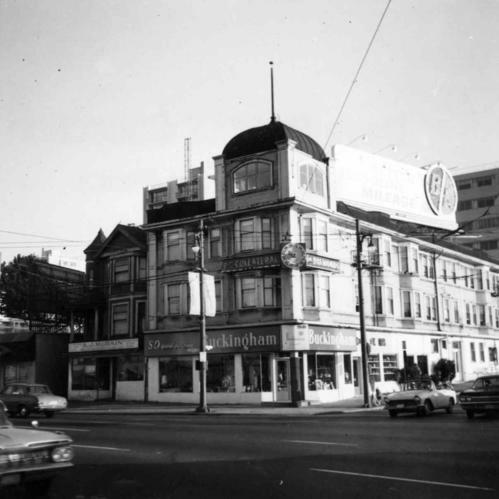 Photograph depicts the corner building on West Georgia and Chilco St., facing Stanley Park in Vancouver B.C. View looking south across Georgia St.